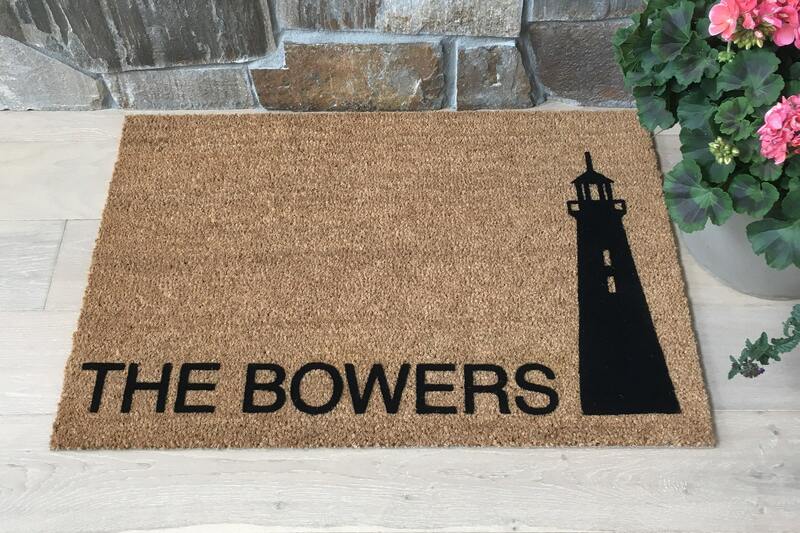 This mat makes a wonderful housewarming and all-occasion gift! 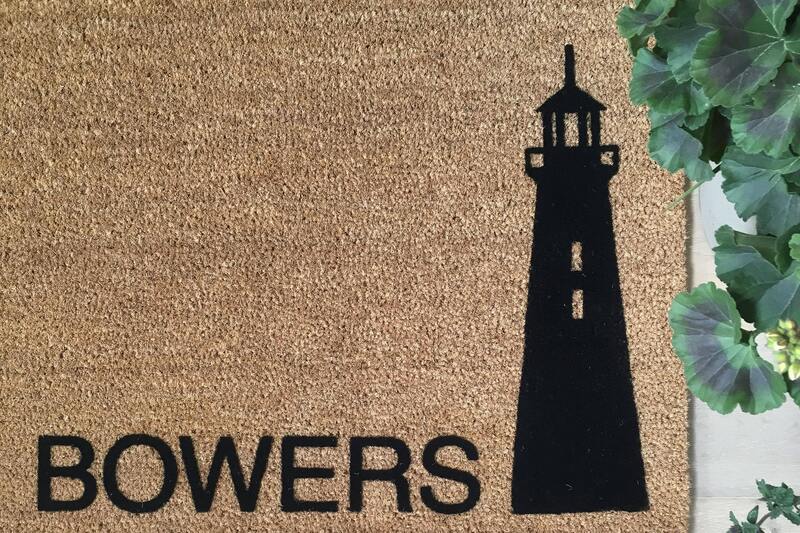 This coastal-inspired design is great for your friends or family that live near the ocean. 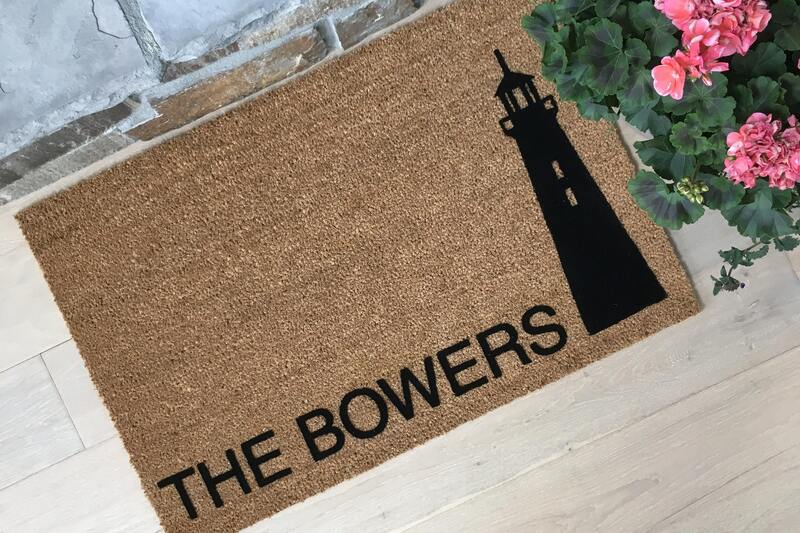 Our 'Bower' doormat is beautifully designed and customized with your family's last name (or the last name of the person you are gifting it to!). 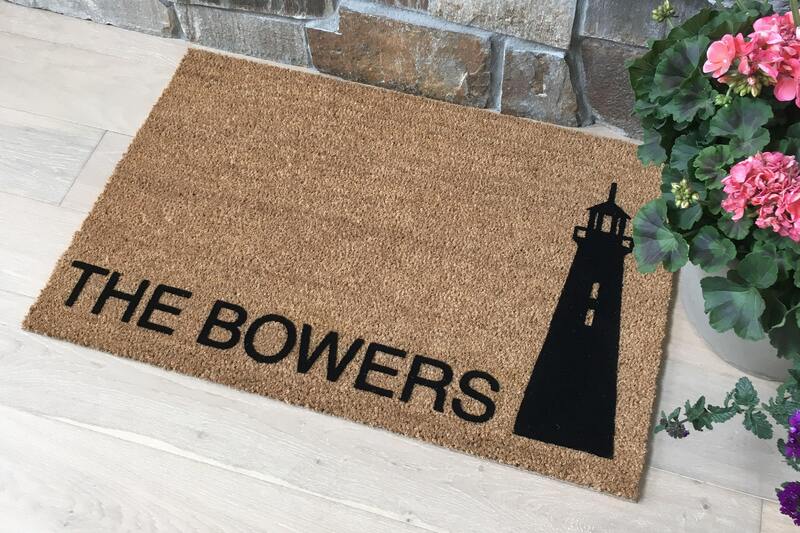 In the "notes to seller" field, enter the last name exactly as you would like it to appear on the doormat. Double check the spelling and leave any special instructions for us there. 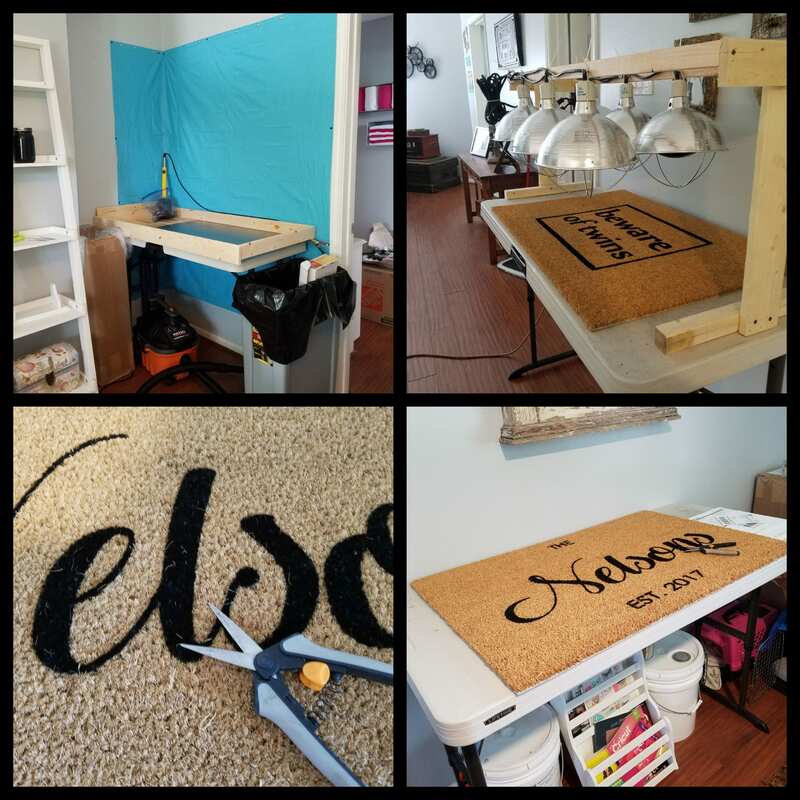 PROCESSING TIME IS CURRENTLY 1-3 BUSINESS DAYS!